In September of 2017, Samansco was awarded a contract by the Non-Governmental Organisation Mercy Corps to relieve communities in the Chikwakwa district of Zimbabwe. The contract issued was for Samansco to supply and install a solar water pumping system for the households in the communities. 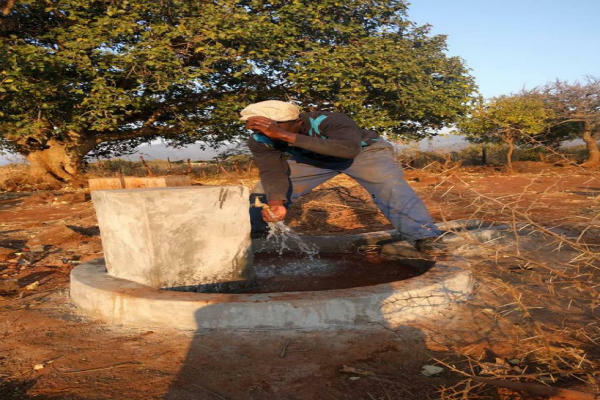 The communities had been living without clean and easily accessible drinking water for many years, this was a major concern for a community which included households, 2 schools, a church and an often-busy community clinic. Samansco installed a solar powered Lorentz pumping system, which provides up to 70,000litres of water per day for the entire community. The sophisticated water network pumps water to 15 water points conveniently located throughout the community. Special emphasis was placed to strategically place more water points by the clinic, which was experiencing trouble with supplying water to patrons. The newly installed solar water pumping system brought much needed relief to the community in the area, with residents positively receiving their new solar water system and the convenience it brought. One community resident described it as having access to clean water that is only a stone throws away from their homes. The project was a resounding success for both the community and Samansco.